A “flashback” glimpse of moments from 2018! (Starting from the top-left): 1. “Mystery Science Theater 3000” alums/comedians Trace Beaulieu (left), Frank Conniff (right) with Chris Hamby (center) during their 2018 “Mads!” live riffing touring showcase of William Castle’s “The Tingler” (1959) at the Alamo Drafthouse in Ashburn, Virginia; 2. 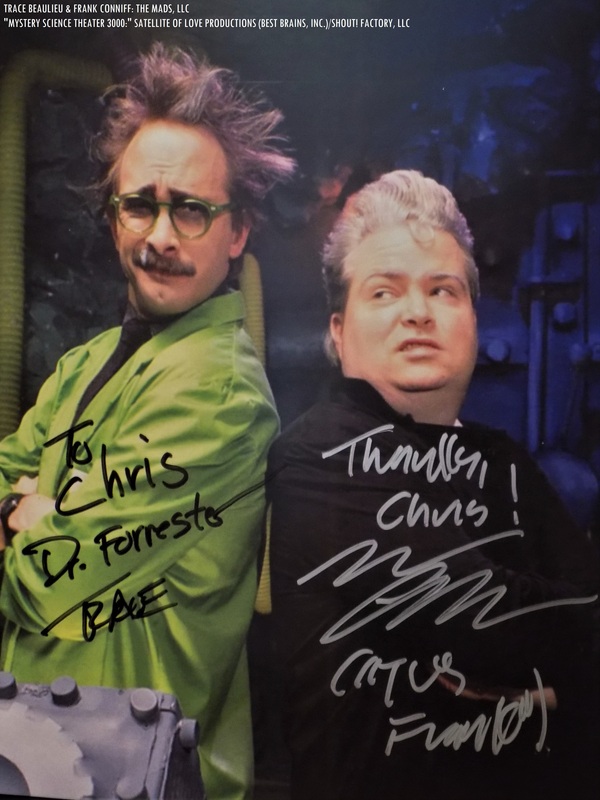 A signed photograph of Trace Beaulieu (as mad scientist Dr. Clayton Forrester) and Frank Conniff (as mad scientist TV’s Frank), signed by Trace & Frank after their Alamo “Mads!” show in Ashburn; 3. Chris Hamby celebrating Sven with his Sven “official Chicken thrower” T-shirt; 4. My “Svengoolie” pumpkin creation from Halloween 2018 with rubber chickens; 5. A Christmas Dairy Cow card that was sent to Sven & Kerwyn and was featured during Kerwyn’s Christmas 2018 video greeting for all fellow super SvenPals on Sven’s official site; 6. 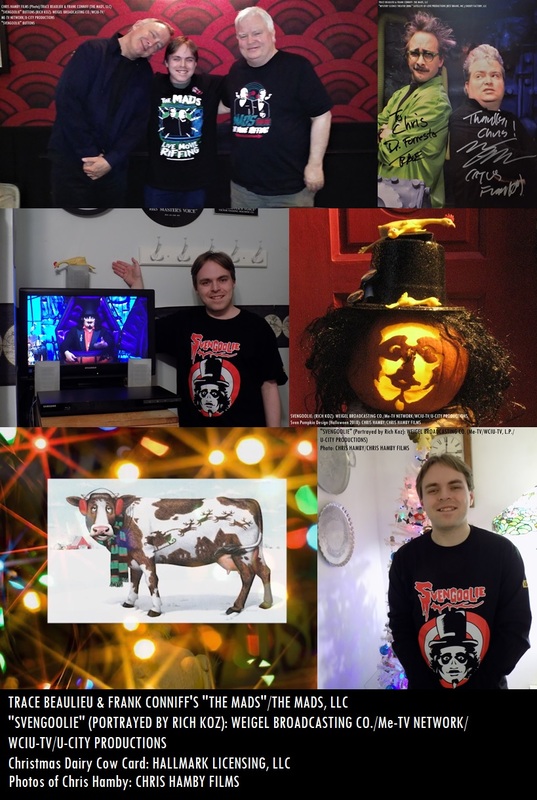 My Christmas/Holiday gift from Sventa, Kerwyn and my relatives; the official Svengoolie “so much sleeve” long-sleeved shirt! Happy New Year’s and Happy 2019 to the entire crowd of fellow super Svengoolie SvenPals, super MSTies of “Mystery Science Theater 3000” and all fellow classic/cult film aficionados everywhere! 2019 will mark the 40th anniversary of (son of) Svengoolie (portrayed by Rich Koz)! Peace and “Hi-Keeba!” -C.H. 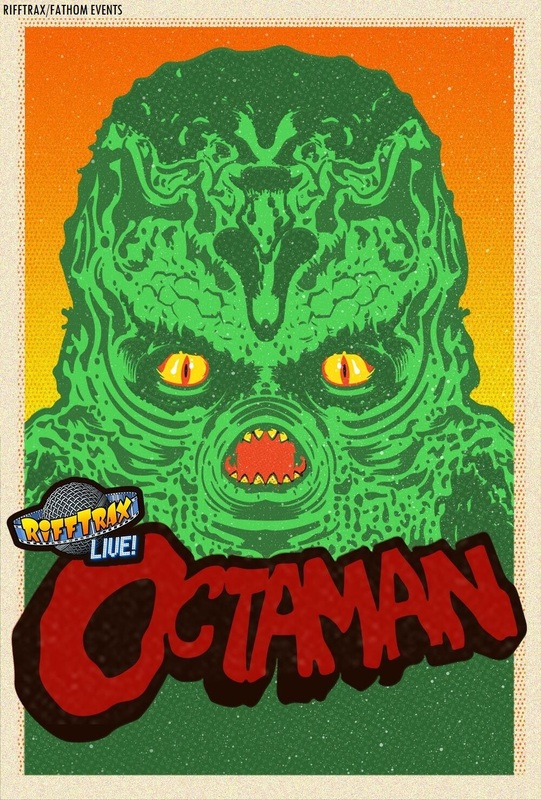 Fellow Svengoolie SvenPals everywhere will be interested in his big broadcast showcase of a cult 1979 made-for-TV adventure-fantasy feature. Jayne Kennedy, Rosalind Chao and Kathryn Davis in the made-for-TV movie, “The Mysterious Island of Beautiful Women” (1979). The legendary Berwyn/Chicago-based feature film host will present the big broadcast return of “The Mysterious Island of Beautiful Women” (1979), this Sat., Dec. 29 at 8 p.m. Eastern/7 p.m. Central on Me-TV. “The Mysterious Island of Beautiful Women” (1979) was directed by veteran director Joseph Pevney. Pevney directed “Man of a Thousand Faces” (1957, with James Cagney as Lon Chaney Sr. in the Universal biopic on the senior Chaney and Universal’s “Tammy and the Bachelor “ (1957, with Debbie Reynolds in the title role of Tammy, Leslie Nielsen as Peter Brent and Walter Brennan as Tammy’s grandfather). In the latter part of his film career, Pevney focused on directing exclusively for television. 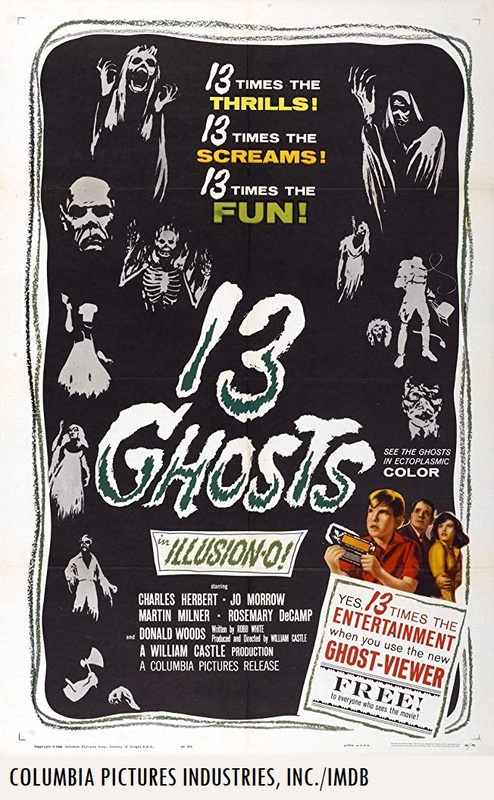 He directed 11 episodes of Joe Connelly and Bob Mosher‘s Universal Studios monster family sitcom, “The Munsters” (with Fred Gwynne, Yvonne De Carlo, Al Lewis, Pat Priest and Butch Patrick) from 1964-66. 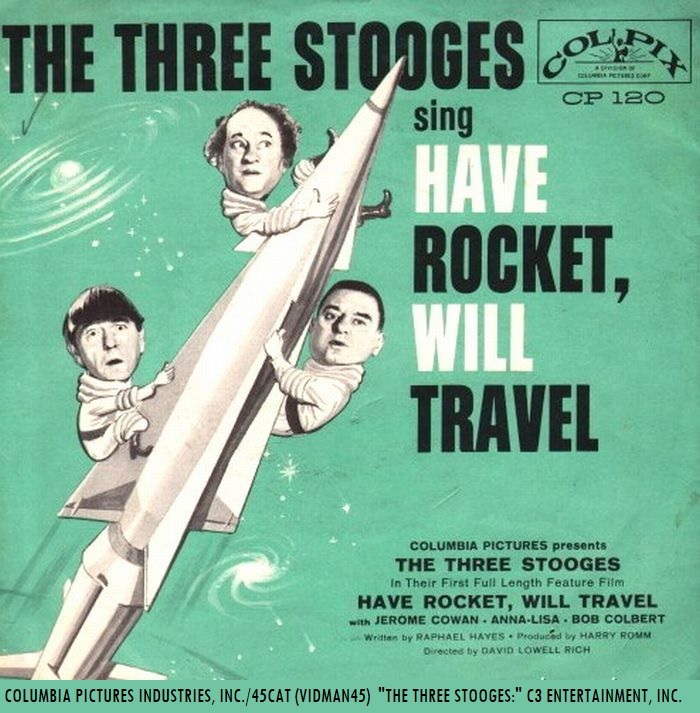 Pevney also worked on 14 episodes of Gene Roddenberry’s “Star Trek” series from 1967-68 (with William Shatner, Leonard Nimoy, Nichelle Nichols, DeForest Kelley, James Doohan and Walter Koenig; including 1967’s “The Trouble with Tribbles”). According to IMDB’s trivia section, “The Mysterious Island of Beautiful Women” (1979) would be one of Pevney’s final feature-length film projects. The 1979 telefilm was one of several made-for-TV features produced by veteran producer Alan Landsburg and his production company, Alan Landsburg Productions. Some of the other telefilm thrillers produced by Landsubrg’s company were “Ants!” (1977, a.k.a. “It Happened at Lakewood Manor”), “Tarantulas: The Deadly Cargo” (1977) and “Terror Out of the Sky” (1978). 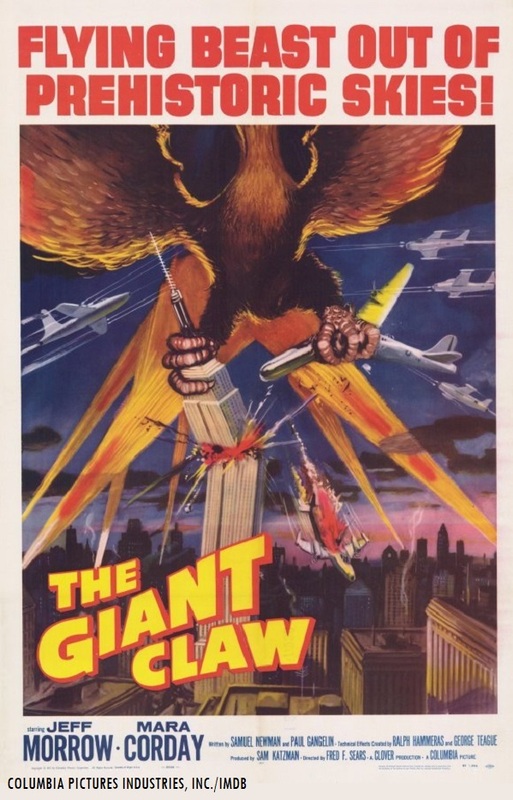 The Landsburg/Pevney telefilm originally aired on CBS in Dec. 1979, according to IMDB). This will mark Svengoolie’s second big broadcast of “The Mysterious Island of Beautiful Women” (1979) on Me-TV. He previously premiered the 1979 Alan Landsburg/Joseph Pevney made-for-TV adventure feature back in Feb. 2018**. The players who appeared in Pevney’s telefilm were Peter Lawford (as Gordon Duvall, was known as one of the members of “The Rat Pack” with fellow performers Frank Sinatra, Sammy Davis Jr., Dean Martin and Joey Bishop in addition to his long acting career in film and television), Jayne Kennedy (as Chocolate, Kennedy was crowned Miss Ohio USA 1970 and was one of several semi-finalists in the in the 1970 Miss USA pageant according to IMDB; she also commentated for CBS’ “The NFL Today” in 1978 in addition to her acting and modeling professions), Clint Walker (as Wendell, Walker played the title role of Cheyenne Bodie in the Warner Bros.-ABC television western series “Cheyenne” from 1955-62), Jaime Lyn Bauer (as Lizabeth, Bauer later appeared on two popular afternoon television network soap opera programs, “The Young and the Restless” from 1975-2002 and “Days of Our Lives” from 1993-2016), Rosalind Chao (as Flower, Chao later played the role Soon-Lee/Soon-Lee Klinger in the final two episodes of “M*A*S*H” in 1983 and in the brief spin-off series, “After M*A*S*H” from 1983-85; she also played the of role Keiko O’Brien in “Star Trek: Deep Space Nine” from 1993-99), Michael McGreevey (as Danny), Steven Keats (as Mike Stapleton), Kathryn Davis (as Snow), Deborah Shelton (as Bambi), Susie Coelho (as Jo Jo), Guich Koock (as J.J.) and Sandy McPeak (as Stu, he previously appeared in Landsburg’s 1977 telefilm “Tarantulas: The Deadly Cargo,” McPeak played the role of Chief Beasley in the previous feature).